Due to the constraints of development history, industrial level, and other related factors, China's crusher's overall level is relatively backward and has a close relationship with the mining industry in China for a long time. The early people only paid attention to the rapid economic growth. Excessive development caused environmental problems. Irreversible damage, and the crusher industry in order to give the market a steady stream of equipment, rarely work hard on innovation, leading to the slow development of China's crusher technology. Since 2009, the Chinese government has stepped up efforts to rectify the mining industry and has been working to promote the expansion of mining operations to large-scale, modern production methods. This will prompt quarry practitioners not only to improve their level of safety and environment, but also to focus on product quality, production capacity, and benefits. The changes brought about by this will also make the future crushing and screening equipment industry develop towards large-scale and modernization, which will provide Zhengzhou Yifan Machinery and Equipment Co., Ltd. with tremendous opportunities for development. As China's mining industry becomes large-scale and modernized, the crusher industry will also actively adjust to meet the development needs of the market. 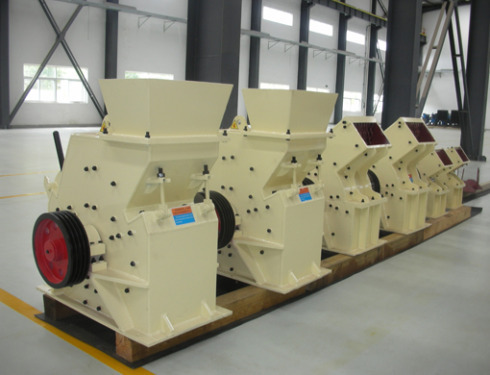 In the past 15 years, Zhengzhou Yifan Machinery Equipment Co., Ltd. has been unwavering in technological innovation and has developed a series of large-scale crushing and screening equipment, such as large jaw crushers, large impact crushers, large hydraulic cone crushers, and large impacts. Crushers, drying hammer crushers and mobile crushing plants provide powerful support for the market demand after mining rectification.